Outdoor bath tubs are increasing in popularity, and why not? 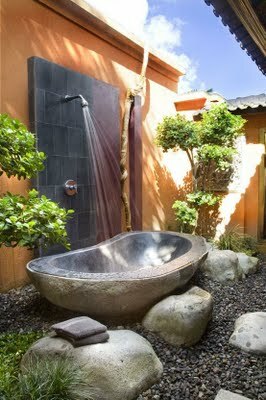 We love outdoor showers and soaking in hot tubs. I find this all very relaxing and therapeutic as well as being Eco friendly. 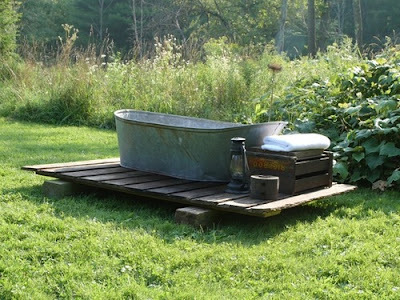 What better way to water a garden after you are done? 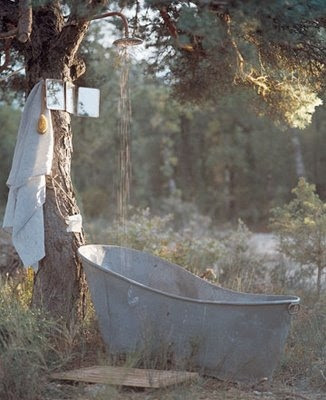 Bathing in the outdoors makes you feel like one with nature.The thought of filling up a tub with fresh rain water sounds heavenly! It would take a large amount of rain, nevertheless it sounds Divine, and of course the sun could warm the water. There are definitely some disadvantages to this also, but I think the pros out weigh the cons. 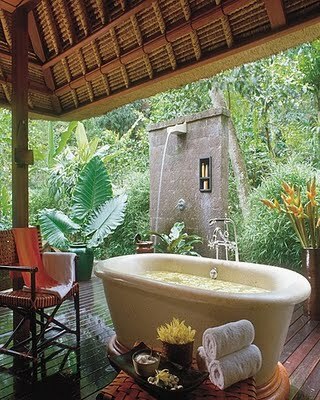 How about it.Would you like to bath outside? 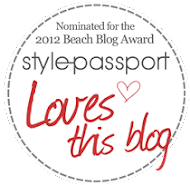 With a beach view and shower like the first one has!! The one that looks like a rock, near the real rocks is funny. With a beach view, I'd be all for it! I like the ones up top the best! I so wish I could have one of these!! I am so in love with the second one! !